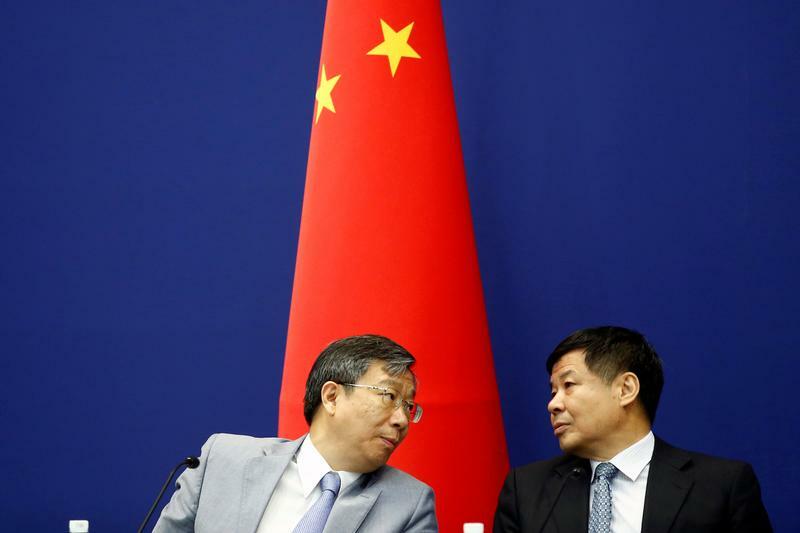 China's Vice Finance Minister Zhu Guangyao (R) and People's Bank of China Deputy Governor Yi Gang attend a news conference on the upcoming Hangzhou G20 Summit in Beijing, China, August 15, 2016. The onshore yuan strengthened to less than 6.84 to the dollar on Dec. 4, its highest level since late September, after news that the United States would hold off imposing higher tariffs on $200 billion of Chinese goods to allow for trade negotiations. The yuan traded at 6.88 to the dollar at close of day on Dec. 6. The governor of China’s central bank, Yi Gang, said in a magazine interview published on Dec. 3 that policymakers would seek to keep monetary policy flexible. The People’s Bank of China has cut the required reserve ratio for banks four times this year, in an effort to stimulate lending.